Buses run every hour from 9.15am. The Triple Tour starts from 9.15am from Stop 1 Barrack St Jetty. 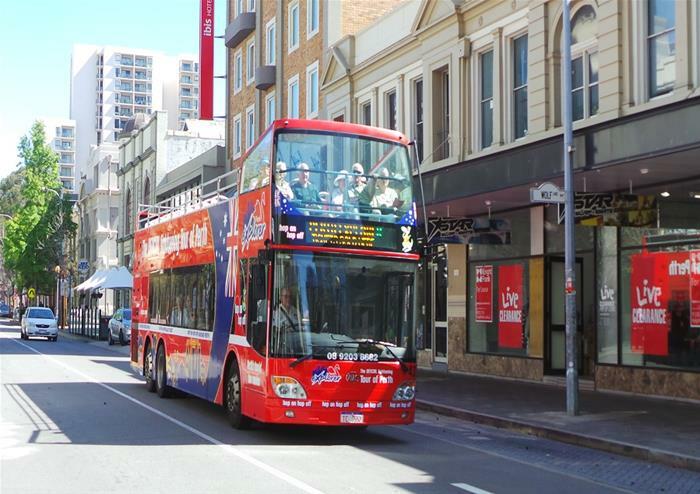 Adventure through the city of Perth on this 1 day hop-on hop-off bus tour! Stopping off at the city’s most fascinating locations including the Perth Mint, you will get to uncover its rich history with live guided commentary throughout! 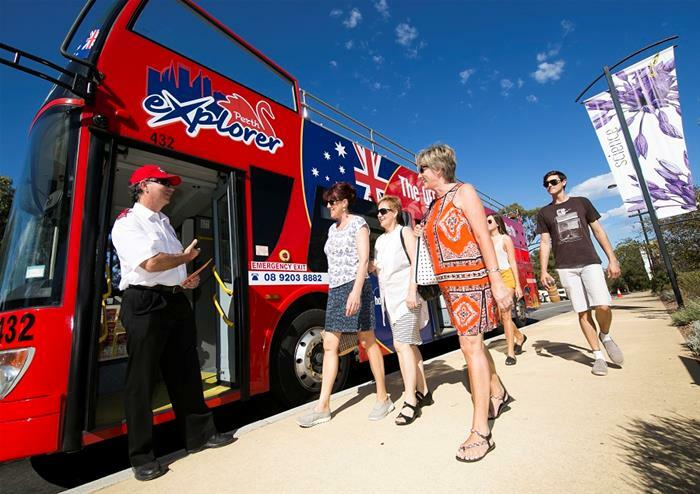 Hop-on or off as you please on any of the 11 stops on the tour as you take time to soak in the very best of Perth. Explore the electric Northbridge with its many art galleries, cocktail bars and places to settle down for delicious foods. Hop-off at the Perth Mint and discover its history including how it is still issuing legal tender to Australia to this date, see the iconic Bell Tower that holds 12 bells from London’s St Martin-in-the-fields and Crown Perth. 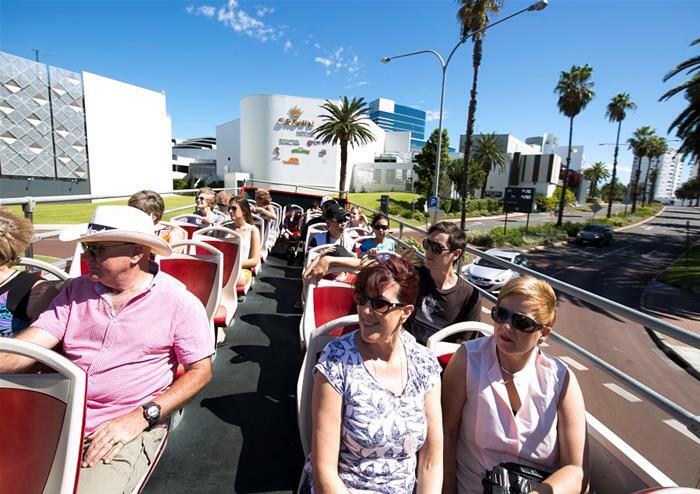 Stay on the open top bus and take in sensational views of the Swan River at Elizabeth Quay or hop-off and explore the selection of places to relax and soak in the beauty of the riverside. Pass the grassy parkland of Kings Park, the world’s biggest inner city park, or hit the fabulous city shopping malls including Watertown for discount shopping!